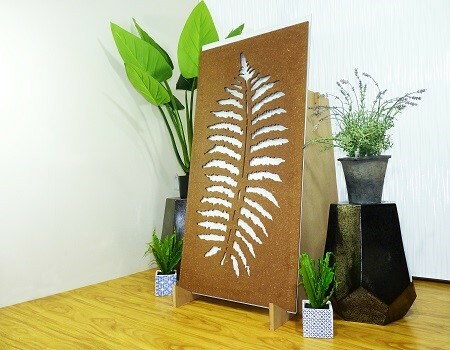 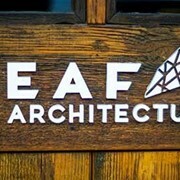 The 'Fern Leaf' decorative screen design is for nature lovers who admire the symmetry and beauty of the fern leaf. 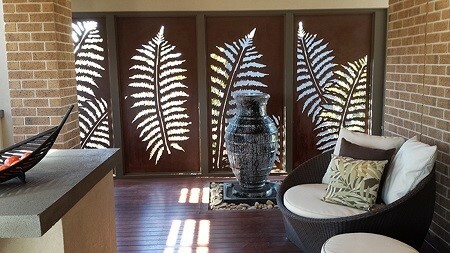 When placed side-by-side, the ‘Fern Leaf’ decorative screen makes a dramatic impact on an enclosed space. 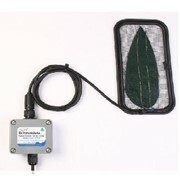 It has a sunlight block-out of 80%.